Happy Halloween and Welcome to this week's edition of Frugal Friday! First up, Dimples and Tangles shared her BEAUTIFUL dining room. I am loving the fun fabric backed chairs! 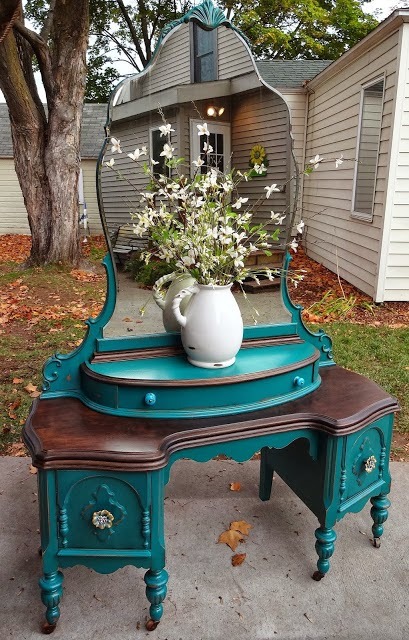 Next, Create Inspire shared this amazing Peacock-blue vanity. I just can't tell you how much I love this piece in that fabulous color! 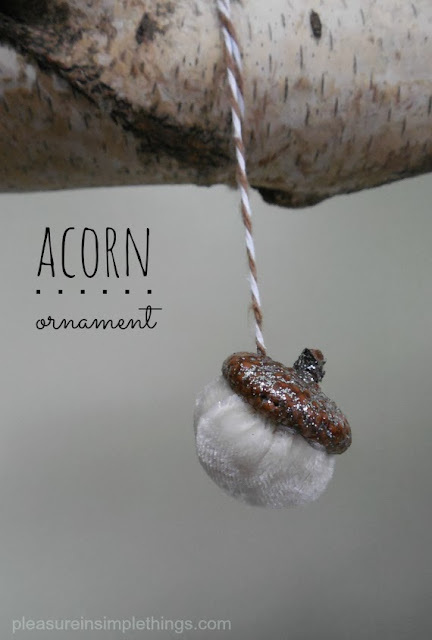 Finally, Pleasure In Simple Things shared these adorable velvet acorns! Wish I had thought of this cute craft when we had that big oak tree in our back yard in Massachusetts. Lol! Happy Halloween to you! Thanks so much for hosting! Have a great night. Very lovely features Wendy. Thanks for sharing and for hosting. Hi Wendy, Happy Halloween. We had a just a few little ones (39) to our door this year. The fog set in around 8 pm and that was the end of Trick and Treating. Thanks for hosting. Thanks for hosting the fun party, I love the features! I LOVE the color of that peacock vanity, and I think I'll have to make some of those adorable acorns this weekend! Thanks so much for the feature, Wendy. What a nice surprise this morning! I haven't joined your party for a long time so I am glad to have something to link. 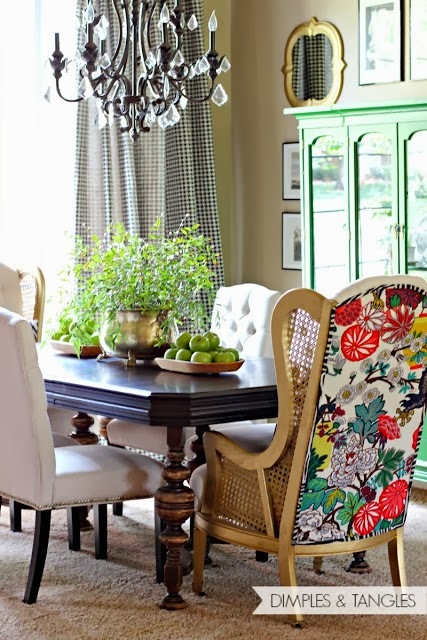 I love Jennifer's dining room and can't ever have enough of it! Thanks so much for the party! :) Love that dining room! I'm usually more into modern decor, but that dining room you featured by Dimples and Tangles is adorable. I love all the color and textures.